CAP is proud to announce that it has been awarded $50,000 from Gilead Sciences, Inc. to create a program to work with individuals aged 50 years and over who are living with HIV. The grant will fund CAP’s HIV and Aging Program for one year. CAP will invest additional resources to develop permanent staff capacity and produce a robust resource library for clients that will be accessible after the grant period ends. CAP is proud to announce that it has adopted a paid family leave policy which will provide every qualifying employee with 12-weeks of paid leave to allow them ample time to care for family members including the arrival of a new child or to deal with a serious health condition. The benefit will be available to any employee that qualifies under the Family Medical Leave Act (FMLA) or Oregon Family Leave Act (OFLA) guidelines. In addition, CAP continues to provide full benefits for all employees working forty percent (40%) of full time and above including full health care coverage and vacation and sick leave on a pro rata basis. CAP believes that all workers in Oregon should be able to access paid family leave as it preserves the dignity of work and family through both joyous and difficult times. Following repeated legislative defeats to repeal the Affordable Care Act (ACA), President Trump is taking steps to further sabotage the ACA. This includes ending cost sharing reduction (CSR) payments to issuers and issuing an executive order that would destabilize the health care marketplace and erode patient protections. Both actions would have devastating effects on people living with or at risk of HIV and STDs. Ending the $7 billion in CSR payments would serve to increase premiums and force the Ryan White HIV/AIDS Program to bear a greater share of insurance costs. It would drive insurance companies out of the state health care marketplaces and in turn, put the marketplaces out of business. We urge the courts to end the illegal action to halt payment of the CSRs. We also call on Congress to quickly approve bipartisan legislation to stabilize the marketplace and extend CSR payments. People living with HIV and other STDs, particularly people of color, often face multiple barriers to accessing the care and treatment they need to stay healthy. The President’s actions would only strengthen these barriers, making it even more difficult for these communities most impacted by HIV to receive the care they need. The Oregon Health Authority is working on a collaborative project with Portland State University and Cascade AIDS Project called Chime In. The project recruits community members at different venues – bars, clubs, sporting events, social and community events in the Portland and Vancouver area, to take a men’s health survey and HIV test. Participants who are recruited by Chime In staff at these venues can receive up to $50 cash for taking the survey and an HIV test. If you are approached by a Chime In staff member for the project, please participate! The information collected in the survey is completely anonymous, and will help improve and maintain existing prevention programs for people in the community. As you know, there has been a lot of uncertainty in recent months about funding for health care, particularly at the national level. Threats of budget cuts for health care and prevention programs, attempts to repeal and replace the Affordable Care Act, and other actions are causing worry among people living with HIV/AIDS who access these federally funded programs and services so they can stay healthy and vibrant. We want to assure you that efforts are underway to protect existing programs and funding, and minimize the effects of these threats to health care services that protect the lives and well-being of Oregonians. To that end, we the undersigned organizations, which have a long history of collaboration, have formed the Coalition of Oregon HIV Community Organizations. The coalition meets regularly to monitor policy changes and collaborate on ways to preserve and protect access to health care and services for people in Oregon living with HIV/AIDS. We encourage you to contact any of the coalition member organizations if you have any questions. Know that we are committed to our missions to continue providing access to services and health care that support communities and individuals living with HIV/AIDS so they can lead healthy and vibrant lives. Uncertainty at the national level won’t deter us from the important work of addressing the needs of those living with HIV/AIDS. State of Oregon Awards CAP $1M for Prism Health! CAP is thrilled to announce that it has been allocated $1M in Oregon State Lottery bonds to repay costs related to the acquisition and renovation of Prism Health, CAP’s LGBTQ+ Primary Care Health Center. The funds will be made available to CAP and Prism Health when the state issues the bonds at the end of the current biennium (early to mid-2019). CAP is pleased to announce the appointment of new members of its Board of Directors, as well as the full slate of officers for FY2018. Joining the Board over the past fiscal year are Mikki Gillette, Jenn Klotz, Travis Marker, Dr. John Nusser, and Bil Spigner. Mikki Gillette is the Major Gifts Officer at Basic Rights Oregon, the state’s leading LGBTQ advocacy organization, where she works with individual donors, oversees grants and assists with events. A playwright and journalist, her writing has focused on the transgender community and her experience as a trans woman. Jenn Klotz is responsible for Genentech Hillsboro’s community relations, government relations and internal/external communication and serves as Chair of the Genentech Hillsboro Diversity team. In her 8 years at Genentech she has been involved with CAP as a leader of Genentech’s Portland AIDS Walk team which has surpassed 100 participants the past few years. Travis Marker is new to the Portland area and is a Master Practitioner Consultant for North Highland Consulting where he leads the People and Change capability for Oregon, Washington and California. Travis’ twenty-year plus career in Talent Management includes a Master of Education Degree from The University of Oklahoma and given him the opportunity to present and speak at events and conferences across the Nation. Dr. John Nusser became a doctor to care for people who might not get the care they deserve, due to stigma such as HIV. He is a family physician who teaches and sees patients at Peace Health’s residency in Vancouver, WA. For many years, he has enjoyed volunteering as the medical director of CAP’s testing site in Washington. He is faculty with the Mountain West AIDS Education Training Center, and has published on HIV education. He has also served on the board of Project Access NOW and the Free Clinic. Bil Spigner is an 11-year veteran of NIKE who works on the North America Store Operations team as a Project Program Director and has spent the last 25 years managing Flagship Retail stores across the country. Bil recently relocated to Portland to work at Nike’s World Headquarters, and has joined the Military Network team, which works to continuously improve the lives and well-being of all former members of the armed forces and their families. Leaving the board are Leo Bancroft, Robert Goman, and Warren Jimenez. We thank them for their dedication and service to our community. The devastating and discriminatory actions coming out of our nation’s capital over the last 24 hours have been heartbreaking and difficult to digest. It’s hard to express the increased frustration, outrage, and sadness I am feeling today as I look at the impact that these decisions will have on our community, our friends, and our chosen families. Today, the Trump-Pence administration launched a full-scale attack on our community when they announced, via a Tweet, that the United States would no longer allow transgender individuals to serve in any capacity in the military. 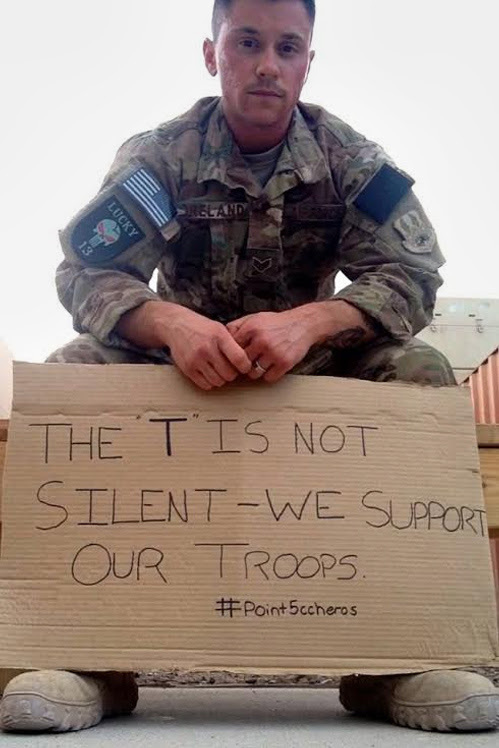 Thousands of transgender people have served with honor and distinction in our military. They have risked their lives around the world to ensure our safety. CAP and Prism Health condemn this announcement and we call upon the administration to reverse this repulsive and life-endangering action that not only undermines military readiness, but weakens our country and makes us less safe. We stand strong with our transgender service members and their families affected by this ban. Today’s announcement comes as the latest attempt of the Trump-Pence administration to undo years of progress for the LGBTQ+ community and on the heels of another step backwards in our battle to preserve the Affordable Care Act for millions of Americans. We are deeply concerned by the Senate’s continuing efforts to take away life-sustaining health care coverage and protections from millions of people who desperately need them. All of the iterations of this legislation threaten the health and well-being of people living with and affected by HIV. In a time when we should be working to end this epidemic, the administration’s actions are threatening to undo the work of decades of struggle. Yesterday what passed was a Motion to Proceed on the healthcare vote. It was not a bill, but a motion for debate. This means there is still time to sway votes. This fight is not over. These horrible attacks on what we hold most dear are meant to overwhelm us and to break us down. Instead they will focus us and strengthen the resolve of our resistance. Our voices must be heard across the country. We will not accept discrimination in our Military, or anywhere in our Country. We will not accept dropping health coverage from millions of Americans. We will keep fighting every day. Call, Email, Tweet, Share. Together we can fight this; we can’t let up, because we will not move back.